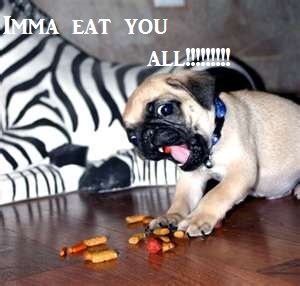 Pug Puppy Humor. . Wallpaper and background images in the Animal Humor club tagged: funny dog. This Animal Humor photo might contain pug and pug dog. The collar is obviously hurting it.